On a recent trip to this year’s Film & History conference I presented my current research in a paper called ‘From Sacred to Scientific: Charlton Heston’s Second Golden Age’. The fascinating post-paper discussion revolved around eco dystopian cinema, with a focus on my work on Soylent Green and Omega Man. Following a discussion of the connections between epics and science fiction, and the recent attempts to give religious films a contemporary scientific twist I was asked if I thought that the new religious epics constituted a new science fiction. I can’t make a comment on the upcoming religious-based releases (including Mary [Griegson, 2015], The Redemption of Cain [Smith, in production], and Pontius Pilate [in development]) but Darren Aronofsky’s Noah (2014) and the upcoming Exodus: Gods and Kings (Scott, 2014) both show a conscious attempt to (re)frame traditional religious narratives as scientifically viable. Noah eschewed many religious aspects (e.g. specific references to ‘God’) and incorporated some science-based (if not scientifically accurate) facets possibly in an attempt to appeal to both religious and secular audiences. Recent reports on Ridley Scott’s Exodus suggest that the director has looked to science rather than miracles to explain the parting of the Red Sea and the Ten Plagues of Egypt. Asked about rationalising the Red Sea ‘miracle’ Scott remarked: “I thought that logically, [the parting] should be a drainage. And that when [the water] returns, it comes back with a vengeance” he went on to say that “it’s always interesting to address all the facts. Out of the facts comes the logic, and out of the logic comes reality.” Scott’s statements here are clearly problematic scientifically, but do open up an interesting set of questions concerning how media producers incorporate religious and (pseudo) scientific elements into their creative output (film, television, video game, etc…). 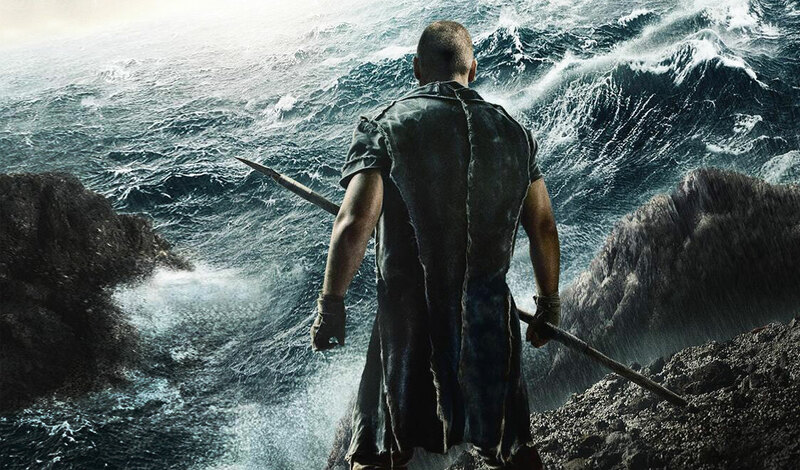 Floods, plagues, and droughts that are explained as miraculous events in biblical and midrashic texts are being depicted as natural phenomena in big screen adaptations. I do not think that Noah can defined as sci-fi. But I do think that it could be understood as cli-fi (climate fiction) – an environmentally aware film that utilises and exposes environmental issues. In Noah, God and the Bible are used to preach about environmental issues rather than religious lore. Nature overpowers humans that have – through their greed – abused the Earth’s natural bounties. The Earth is seen to, almost vengefully, fight back punishing those on screen and offering a warning to the cinema audience. This image of the world on the brink of ecological catastrophe has also been seen in new cycle of contemporary Hollywood films including The Day After Tomorrow (Emmerich, 2004), The Happening (Shyamalan, 2008), WALL•E (Stanton, 2008), The Young Ones (Paltrow, 2014), and most recently Interstellar (Nolan, 2014). WALL•E: the accidental eco-hero. Comic relief in the face of a global environmental catastrophe. Films concerning climate change and irreversible environmental damage are most often associated with documentaries such as the quintessential eco-horror film An Inconvenient Truth (Guggenheim, 2006) that charted a campaign to educate people about global warning. Recently there has been a clear stream of fictional narrative films that have begun to engage with this critical social concern. A cli-fi movie can be seen to take the core concepts of dystopian science fiction and underpin them with an environmentalist message. Therefore creating a purposely frightening vision of a near-future world where humanity has allowed the Earth to become hostile and dangerous. For example in WALL•E, a contaminated Earth is evacuated and the surviving humans are sent out into space to wait for it to become habitable once more. 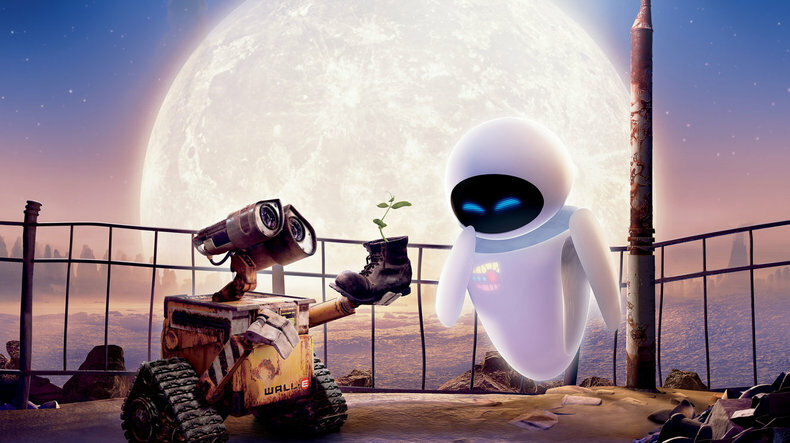 The environment and those trying to save it (WALL•E and EVE) take centre stage and the film critiques over-consumption, and the capitalist economy that caused the ecological catastrophe in the first place. This economy is then perpetuated in the humans’ off-world spaceship ‘The Axiom’. The most recent example of cli-fi, Interstellar, is about a near-future Earth on the brink of ecological ruin. America has become one huge dust bowl with a dwindling population ravaged by extreme weather changes and drastic food shortages. Creating a clear historical link to depression era America and making passing comment on the failings of capitalism in a similar vein to WALL•E. Humanity has been forced to regress to an agrarian, farming culture and speculative scientists, who are viewed as expensive and unnecessary, have been relegated to hidden labs (NASA is covertly revived to begin looking for an Earth-alternative). 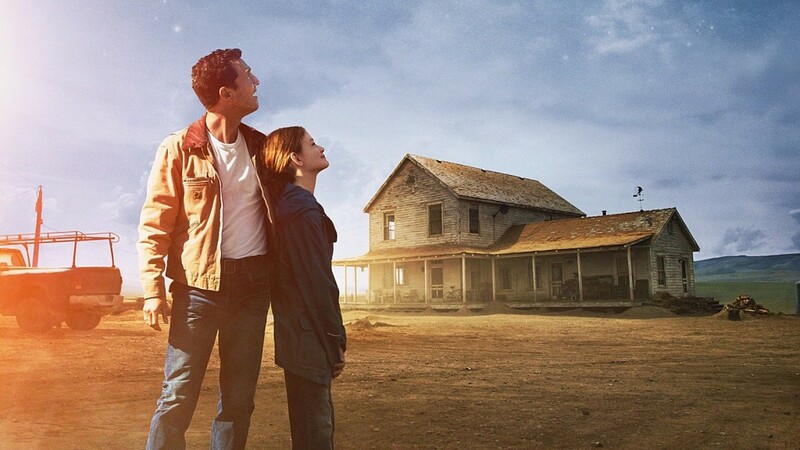 As Cooper (Matthew McConaughey), former NASA test pilot turned farmer, comments, “We used to look up at the sky and wonder at our place in the stars. Now we just look down and worry about our place in the dirt”. Interstellar presents a dystopian future with a clear link to contemporary environmental issues and attempts to inspire public interest in science. But it does not offer hope; Interstellar suggests that the world is beyond repair and that we must escape it in order to survive. As Noah Gittel notes in an article for The Atlantic climate change is not specifically referenced in the film but director Christopher Nolan ‘uses its imagery to define the terms of his story’. The characters (and humanity more generally) show little remorse for the damage to Earth and it is depressingly possible that a new world will be subject to the same fate. Environmentally conscious narratives have gone mainstream, again. The current cycle of films with an environmentalist core follows an earlier wave of dystopian science fiction in the 1970s. These earlier films emerged in a post-classical Hollywood and responded to and coincided with the developing environmentalist protests of the era represented by events such as Earth Day. The inaugural Earth Day (22nd April 1970) capitalised on an emerging environmental consciousness and focussed the energy of the anti-authoritarian protest movements towards promoting environmental concerns. Films of the era also capitalised upon the popularity of these increasingly prominent issues. Silent Running (Trumball, 1972) reveals a future where all plant life on earth has been destroyed and it critiques humanity’s disregard for nature and complacency about the world’s natural resources and the immutable damage being done. In a similarly pessimistic fashion, Soylent Green (Fleischer, 1972) envisions a severely overpopulated futuristic dystopia where the population relies upon government manufactured food items, which turn out to be made of human remains. With films such as Omega Man (Sagal, 1971), Soylent Green, Silent Running, No Blades of Grass (Wilde, 1970), Frogs (McCowan, 1972), Z.P.G. (Campus, 1972), and Earthquake (Robson, 1974) filmmakers responded to growing concerns over the irreparable damage being inflicted upon a seemingly fragile Earth. This contemporary spate of cli-fi shows the resurfacing and growing concern for climate change issues. But what is interesting to me is incorporation of environmental concerns into seemingly disparate genres. Concerns over nature have been embedded into religious epics as well as more traditional science-based narratives. The seventies cycle was founded in science-based narratives and more often than not post apocalyptic worlds that showed the consequences of humanity’s ecological failures. But these new films are using fears of climate change and ‘vengeful’ natural forces across a broader spectrum of texts. Climate change and its implications provide a recognisable frame for epic narratives both religious and scientific. 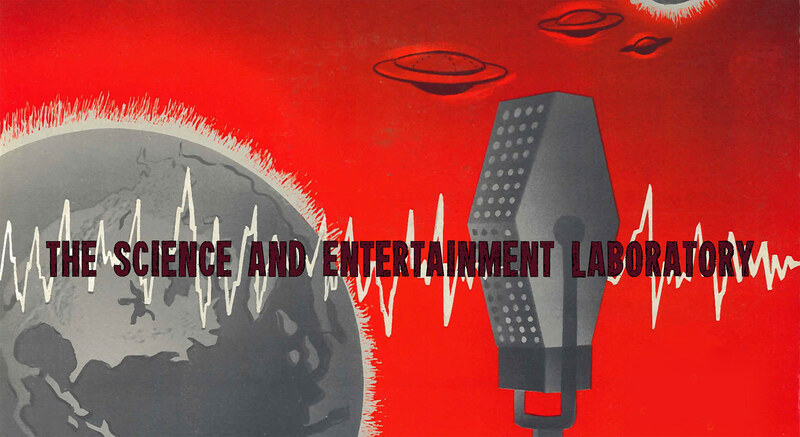 These two genres once again connected by their spectacular nature and need for scientific believability to validate their stories for increasingly skeptical audiences. For the new religion-inspired releases the forces of nature are attributed to science (natural causes) rather than miracles. For science fiction cli-fis like Interstellar and The Day After Tomorrow climate change and its consequences provide the films with their central theme, but it is rarely used to offer more than a pessimistic shock. As climate change becomes an increasingly popular subject in public discourse it is likely to continue to take hold of Hollywood narratives. Dan Bloom, a climate activist, noted in a recent commentary for the Washington Post that cli-fi, the emerging ‘cousin of sci-fi’, might help environmentalism to gain a wider audience and political traction. An increasing number of articles and opinion pieces are being released on the subject, and the genre of cli-fi continues to gain popularity and academic respect. But will this be the beginning of a shift in opinion and policy or just the beginning of another cycle of a subgenre of science fiction? Amy, very nice post and well done and well said. SMILE. Dan Bloom in Taiwan. re ”As climate change becomes an increasingly popular subject in public discourse it is likely to continue to take hold of Hollywood narratives. YES EYS YES — Dan Bloom, the climate activist, noted in a recent commentary for the Washington Post that cli-fi, the emerging ‘cousin of sci-fi’, might help environmentalism to gain a wider audience and political traction. 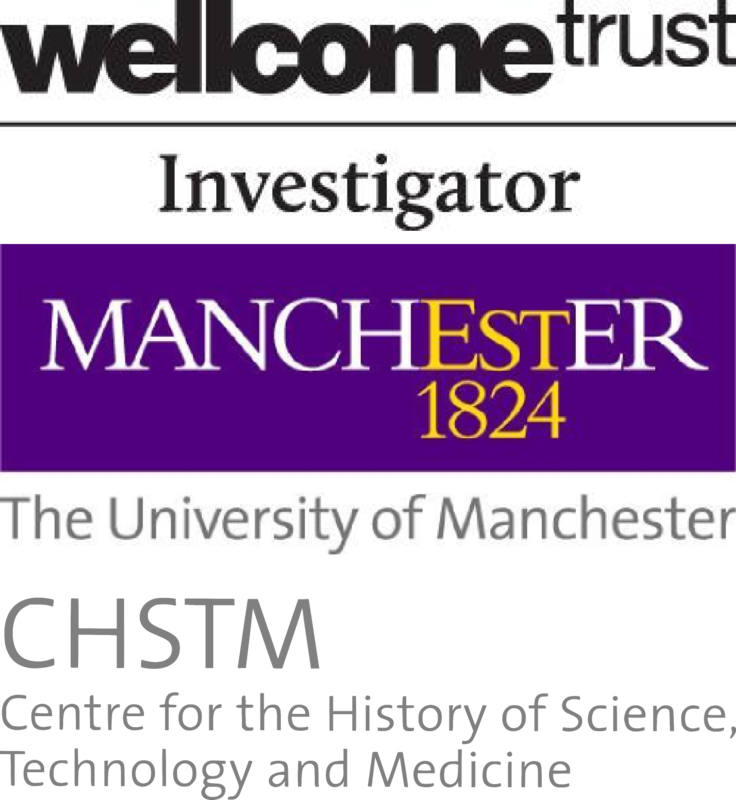 HOPE HOPE HOPE …..An increasing number of articles and opinion pieces are being released on the subject, GOOD GOOD GOOD and the genre of cli-fi continues to gain popularity and academic respect. YES YES YES AND THE CHRONICLE OF HIGHER EDUCATIION IN DC IS WORKING ON A BIG PIECE ON CLI FI IN ACADEMIA RIGHT NOW……But BUT …will this be the beginning of a shift in opinion and policy HOPE HOPE HOPE …..or just the beginning of another cycle of a subgenre of science fiction? I HOPE THE FORMER: a reframing of the national and intl discussion, a major shift in POLICY among top leaders….HOPE AGAINST HOPE…but we need hope. CLI FI is not a marketing buzzword or a shelving genre. IT IS THE REAL THING, IT IS A REFRAMING. IT IS, as scott thill says so well at Huff Post , “a cultural prism”. I hope it makes a difference! That’s our goal! Great article! Thank you for considering the implications and future or Cli Fi. It’s my hope that Cli Fi remains independent [from Sci Fi] in the minds of the public, publishers, producers, and media. The climatic impact of human behavior presents a stand-alone subject for Literature and Film that no other genre can match. I say this because the roots of Climate Change delve so deeply into human psychology, economics, religious beliefs, and philosophy. Albert Einstein once said that Man must find a ‘new way of thinking if it is to survive.’ He also called our perception of standing apart from the universe rather than being a part of it an “optical delusion of consciousness.” The physicist then tasked humanity to learn to “embrace all living creatures and the whole of Nature” rather than limit its compassion to immediate desires, family, and friends. In context with Einstein’s concerns, Cli Fi offers perhaps the most logical “fiction path” for Man to travel if its to escape [in time] from the consequences of self-delusion.